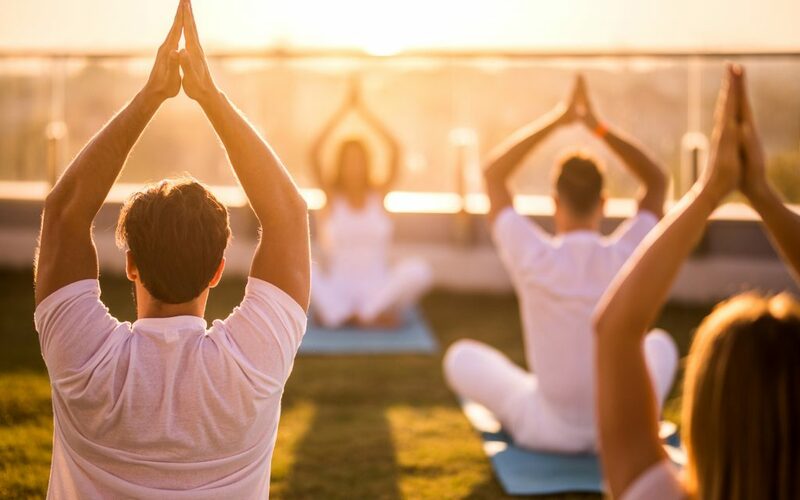 On the rooftop of a condominium in downtown Toronto recently, Lu Pancini led more than two dozen students through a series of poses, from seated twists to downward dog. The yoga class was like most others except for the setting—wind blew through participants’ hair as they moved from one pose to another—and the cannabis. In addition to running conventional yoga classes, Pancini also leads classes in which students ingest their own cannabis during the session via a high-end vaporizer. An uplifting sativa is recommended to start, while more relaxing indica strains are popular at the end. Pancini, a certified yoga instructor, sometimes accepts invitations to lead classes in various settings, but she runs most of her classes out of her studio, The House of Yoga. She owns the studio with her husband, Joey Lundgreen, who says that cannabis relaxes students and allows them to enjoy the full benefits of yoga. “Ganja yoga has been the gateway to fitness for many people,” he adds. Indeed, a growing number of people are embracing ganja yoga, hailing the benefits to their mental and physical health. 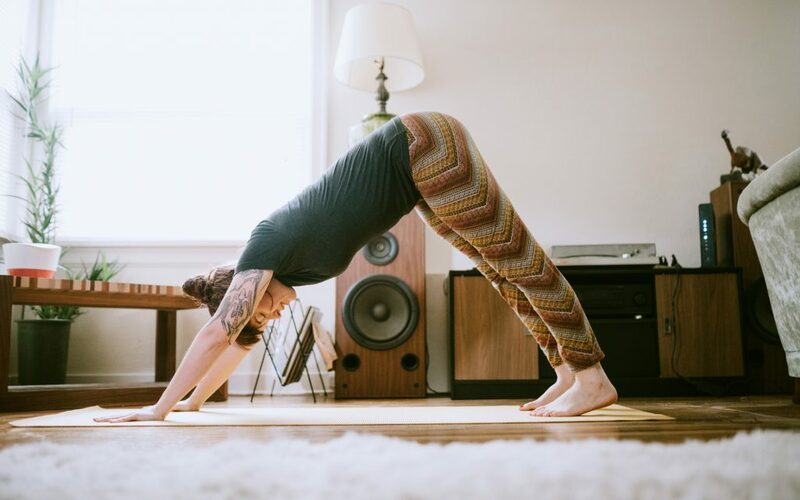 Many people see the yoga–cannabis connection as a new construct, one that comes on the heels of other recent trends (see also: goat yoga). But cannabis and spiritual practices have been intertwined for millennia. Patanjali, the Indian sage who wrote the guidebook on classical yoga (Yoga Sutras) about 2,000 years ago, advocated using certain herbs as one of the five paths to enlightenment. Many historians believe he was referring to the cannabis plant, in part because of the plant’s elevated status in the culture of ancient India. Thousands of years before Patanjali was born, Indian priests honored the deity Shiva with a cannabis elixir and, in ancient Indian writings, cannabis was recorded as being served during sacred ceremonies. Today, as the stigma associated with cannabis dissipates, people are incorporating the plant into various aspects of their lives, and licensed cannabis producers are catering to their needs. For example, MedReleaf, one of the premier licensed producers in Canada, has introduced a line called AltaVie in hopes that consumers will integrate one or more of these products into their wellness regime. 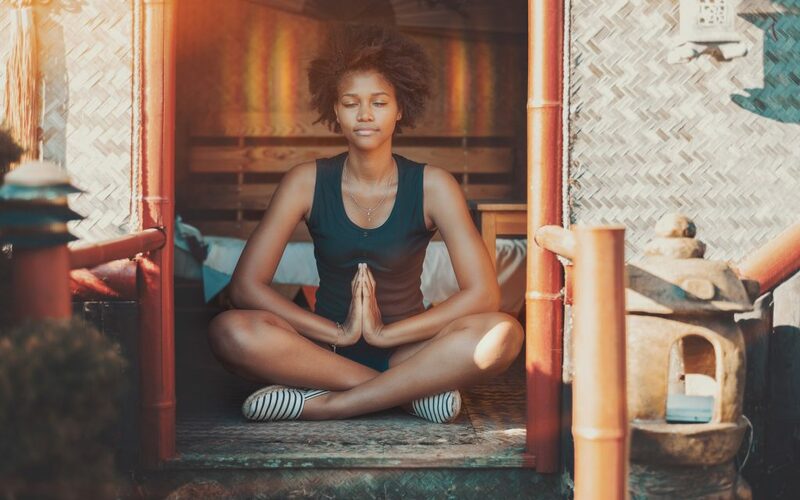 Many yoga enthusiasts who are looking to heighten mindfulness are turning to cannabis to enhance the benefits of yoga. They say it helps students clear their minds and tune out pain points to become more mindful and better able to move from one pose into another. That’s in line with what we know about the compounds found in cannabis, such as CBD, which research suggests can be helpful in relieving pain and anxiety. 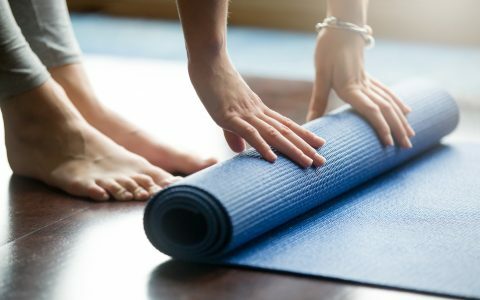 Advocates say ingesting a small amount of cannabis before a yoga class also makes students less inhibited and more receptive to the essential philosophy of yoga—that the mind, body, and spirit are one and cannot be separated. Montreal-based yoga instructor Alexandre Pelland believes so strongly in the potential benefits of combining cannabis with properly structured yoga practice that he collaborated with a medical cannabis clinic and MedReleaf to develop a course for people who use cannabis for therapeutic purposes. Across the continent, in San Francisco, a young woman recently shared her enthusiasm about ganja yoga with CBS News. 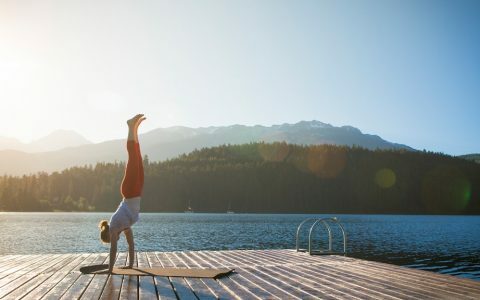 “It helps to loosen your muscles and it helps lower your inhibitions so you’re more likely to try a [pose] that maybe before you might have been apprehensive of,” Tiffany Marquez said, adding that ganja yoga also relieves her migraine headaches. Marquez is a student of prominent ganja cannabis advocate Dee Dussault. A hatha yoga instructor with more than 20 years of experience, Dussault started teaching ganja yoga in Toronto in 2009 and has since expanded to more than a dozen other cities. She also wrote a book, Ganja Yoga: A Practical Guide to Conscious Relaxation, Soothing Pain Relief, and Enlightened Self-Discovery, which introduces readers to cannabis-enhanced yoga and advises them on best practices for working the plant into their routine. Dussault’s classes have various themes, including women’s tantra, but they all invite students to ingest some cannabis before starting their poses. For the most part, these classes tend to be slower-paced and more guided than conventional yoga classes. Enrollment in her San Francisco classes doubled after California legalized recreational marijuana in November 2016. In fact, ganja yoga classes have been sprouting up in many other states where recreational marijuana has been legalized. A similar trend is taking place in Canada, where federal legalization is just around the corner. Lundgreen says The House of Yoga has been receiving “tons of social media interest” and a steady stream of emails. The studio has welcomed more drop-in participants this summer than any summer in the past and, he adds, he and Pancini have been invited to teach at retreats.